The biggest event in movies just happens to be a comic book convention. 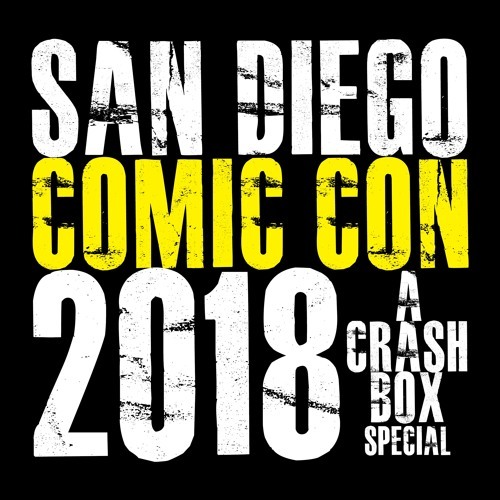 Another year, Another SDCC comes and goes. In it's wake as always, leaves a slew of new rumors, trailers, & announcements for us to salivate to. This year we got Announcements for Annabelle 3, Top Gun 2, & The new Buffy: The Vampire Slayer reboot. Footage from Wonder Woman 1984, Venom and the Transformers spin off, Bumblebee. Trailers to Alita: Battle Angel, Glass, Fantastic Beats And Where To Find Them: The Crimes of Grindlewald, Aquaman, Shazam and Godzilla: King Of Monsters. I always love this time of the year. So lets go, and get lost in the abstract.